If you would like a MiShebeirakh recited when the Torah is read on Saturdays, on behalf of someone who is ill, please contact the Rabbi. Tell the Rabbi the person's full Hebrew name and the name of the person's mother. English names will do. 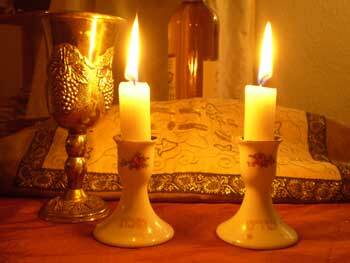 Shabbat services are held at 8:00 PM on Friday nights and 9:30 AM on Saturday mornings. Our Shabbat Siddur used at the Friday and Saturday services allows greater participation by those not familiar with Hebrew. Our Shabbat services are family-oriented. Children are encouraged to participate and lead prayers which they have been taught. 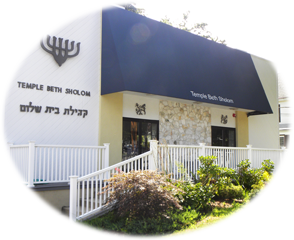 Tot Shabbat services are offered monthly for our pre-school children and their families. The religious philosophy follows decisions of the Law Committee of the Rabbinical Assembly (Conservative). Women are counted in the minyan and receive aliyyot to the Torah. Services are characterized by beautiful cantorial and congregational singing, as well as the Rabbi's explanations of the structure and content of the prayers. A highlight of the Shabbat morning service is the Torah study session with the Rabbi, who combines insights from our religious tradition with those offered by social science and other major contemporary contributions to the world of ideas and ideals.